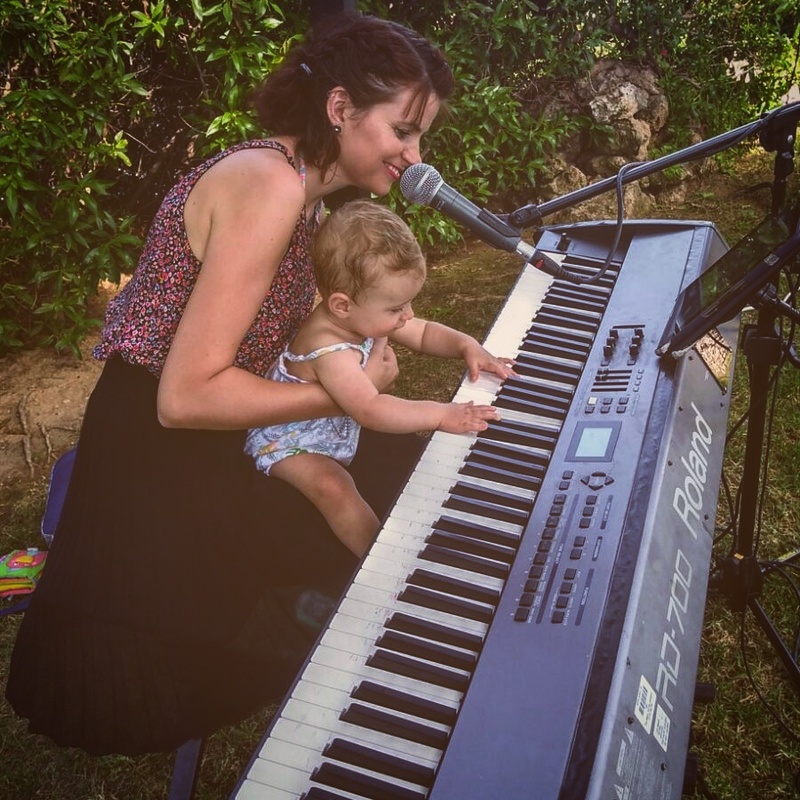 I was booked very last minute (about 2 weeks notice) to play piano and sing for a wedding ceremony and drinks reception at the H10 hotel in Punta Negra, Mallorca. They were an Australian and English couple and had a very big wedding party and decided last minute to add the magic of live music to their wedding! The ceremony was on a lawn of the hotel which overlooked the sea and was a big relief as there was an amazing sea breeze! August can be incredibly hot here in Mallorca and we really suffered for a few weeks here with intense humidity. I think the top of the cliff at Punta Negra was about the coolest place on the island that day and I was very grateful for it! We then relocated (quite a long way!) to the other side of the hotel gardens for the drinks reception where I had a 18month old dancer for pretty much most of the time! I love seeing kids discovering live music and the uncontrollable urge to dance! When I was setting up for the ceremony I had my own little one discovering her own urge to play the piano just like her mum! Congratulations to Jennie and Lee!